Welcome to "King of the Rails Trails". 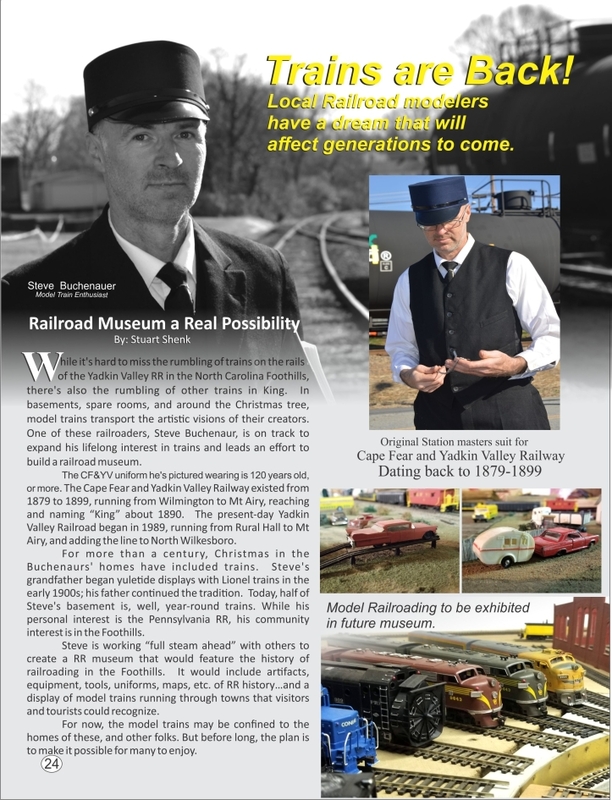 A new way to interact with model trains for Children and Adults. 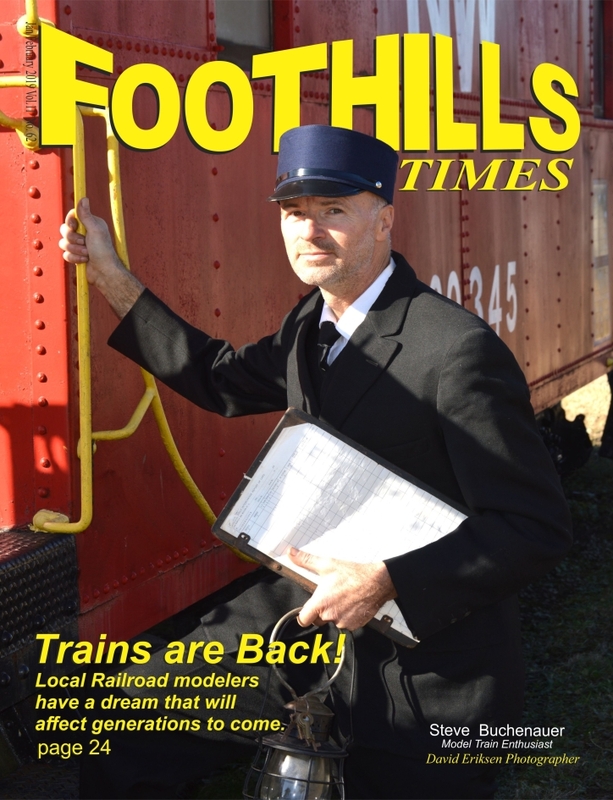 Future plans are being made right now for a location near you to see model railroading in all its beauty. 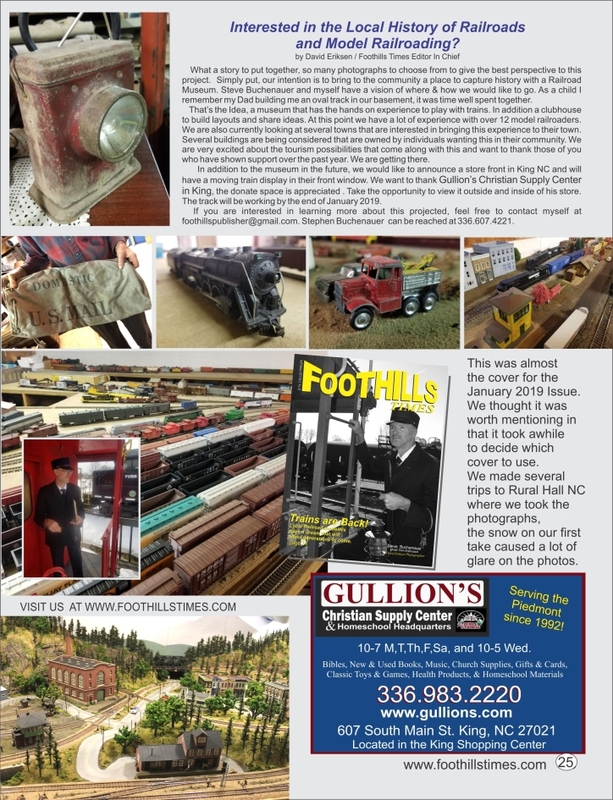 Our first layout will be seen at Gullion's Christian Supply Center & Homeschooling at (607 S Main Street King, NC 270211), our second display will be at Prudence McCabe Confections at (192 N. Main Street Suite 400, Mouut Airy, NC 27030). These large displays are free to the public much like a museum, any modest donation is always welcome. Future plans are being made for an additional 10 locations in other small towns in the future. Photograph in Elkin North Carolina by David Eriksen, Model Brandy Lankford.